ABBASBACK ® is Australia's new No.1 all ABBA tribute band. 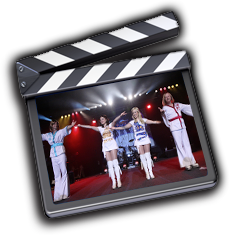 Of all ABBA tribute acts this one is perfect for 70's theme, retro, theme, ABBA theme, corporate entertainment, corporate event, function band or wedding band. Mamma Mia! You've discovered ABBA gold, a tribute band to beat all tribute bands, the best ABBA band, the best ABBA tribute show, for all functions, all ages, including family entertainment. ABBASBACK ® has often been described as the new best ABBA band or best of the ABBA tribute bands. We are based in Sydney but will perform anywhere. We also perform internationally - having worked in the USA, Asia Pacific and Europe.